March 8 marks the opening day for the 2019 edition of South By Southwest. 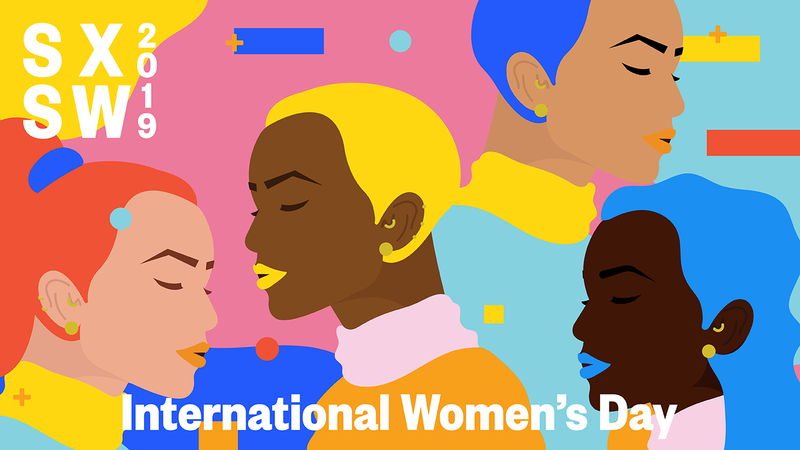 The same day is recognized globally as International Women’s Day—a day that celebrates the achievements of women and acts as a call to action for accelerating gender parity. The first International Women’s Day (IWD) occurred in 1911 with more than one million people participating. 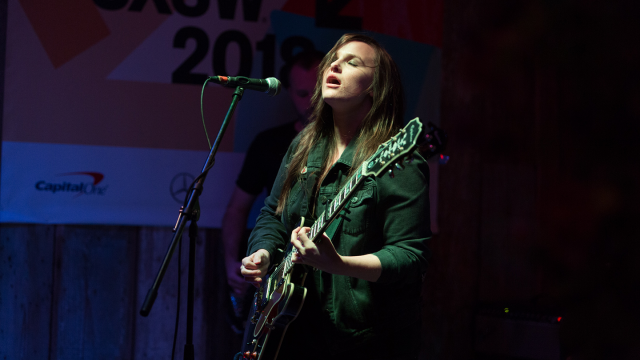 In 2019, SXSW is continuing to play its part with the annual celebration. This year, in partnership with the European Union and UN Women, we’ll bring together the brightest, most creative and forward-thinking minds to celebrate. Join us for an inspiring day of programming, art, music, and films created by, for, and about all who identify as women or non-binary and of course, an unforgettable party featuring Flint Eastwood! Palm Door on Sixth, 508 E 6th St.
After a day of learning, networking, being challenged and inspired, it’s time to exhale and let loose. There will be eats, treats, and libations aplenty to fuel your night ahead, all set to a powerful performance by Flint Eastwood. The party continues at the sweatlife house by lululemon where SXSW Registrants can dance the night away with DJs while enjoying drinks and light food. Bianca De Leon is an Austin, TX based singer/songwriter dubbed “Queen of the border ballad,” by John Nova Lomax, and “A voice from Texas that does it right,” by Guy Clark. 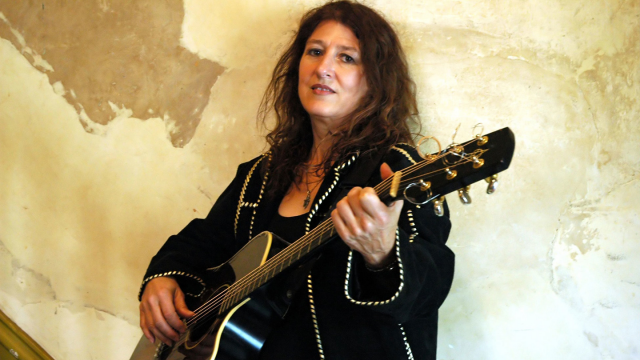 She has been touring Europe since 2001, cutting 4 EU releases and a worldwide release, “Love, Guns & Money.” Her sultry, mysterious voice complements both her fingerstyle guitar and emotional lyricism . 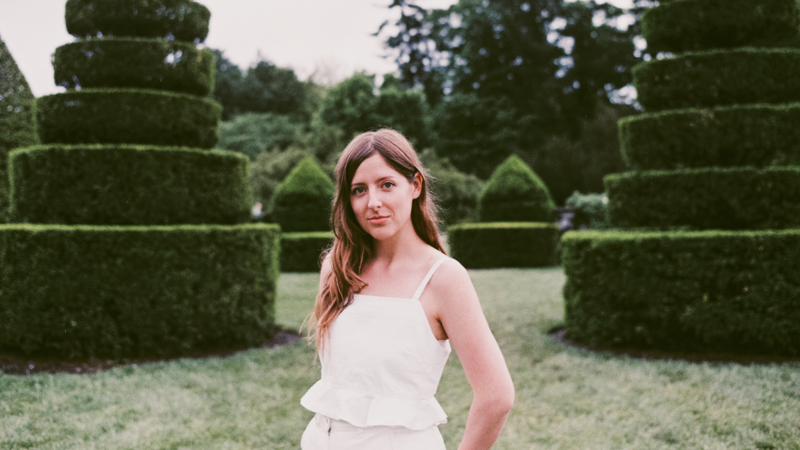 Vocalist and songwriter Molly Burch is a Los Angeles native residing in the Austin area since 2013. Burch burst onto the music scene in 2017 with her debut album Please Be Mine, a ten-track ode to unrequited romance. Her sophomore album, First Flower, is a bright, beautiful album peppered with moments of triumph. Burch’s voice is as strong and dexterous as ever, displaying her incredible range and professionalism as a vocalist. 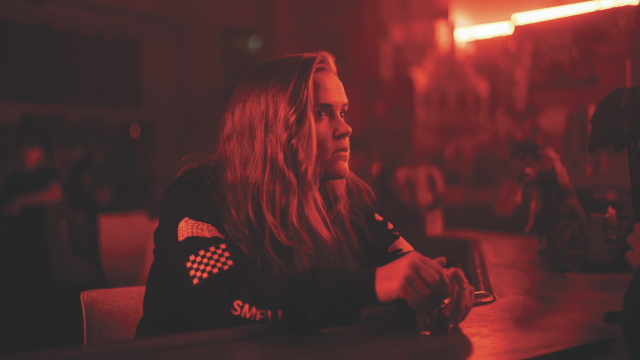 Lynzy Lab is a performer, educator, and activist whose original song A Scary Time (for Boys) went viral overnight, landing her performances on Jimmy Kimmel Live!, the main stage of the 2019 MAKERS Conference, and multiple TEDx events. She was featured in InStyle Magazine’s Badass 50 issue, alongside Michelle Obama, Dr. Christine Blasey Ford, and Hannah Gadsby. 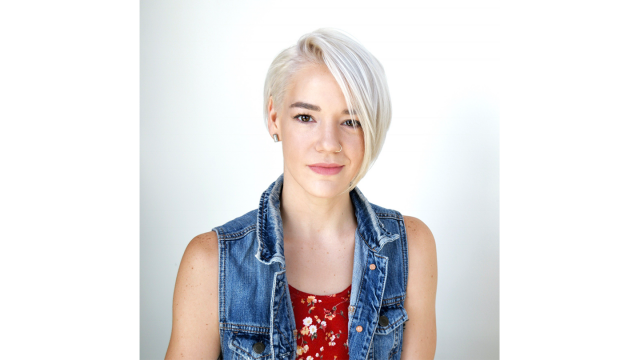 Lynzy is currently a full-time dance faculty member at Texas State University, and resident faculty for The Performing Arts Project. JANE came onto the DJ scene shortly after moving to Los Angeles in 2007. After attending a handful of classes at the Scratch Academy, she was then mentored by many of the MUSIC INDUSTRIES TOP DJS. The late ADAM GOLDSTEIN, also known as DJ AM was one of her biggest influences. Eventually she came to develop an eclectic, sultry signature style all her own. Since then, she’s held residencies at a variety of High-End Boutiques, 5 Star Hotels, Trendy Restaurants, Film Festivals, and Charity Events/Fundraisers. Some of her past clients include KEVIN HART, E ENTERTAINMENT, BUMBLE and countless others. Today these intoxicating sounds can also be heard inside some of the most Exclusive Parties, Luscious Lounges, and Chest-Thumping clubs all across the Globe. Adzua is a musician and visual artist based in Austin, TX. They are one third of MAMIS, an all womyn psych surf garage trio. When they’re not playing with the girls, you can find them in Mosaico Experiencia, a queer black-and-brown vinyl initiative. Long before opening for house music legends such as Mark Farina, Derrick Carter, and DJs Heather and Collette, Austin-based Erin Millington — a.k.a. Blend*e — was a devoted student of electronic music. 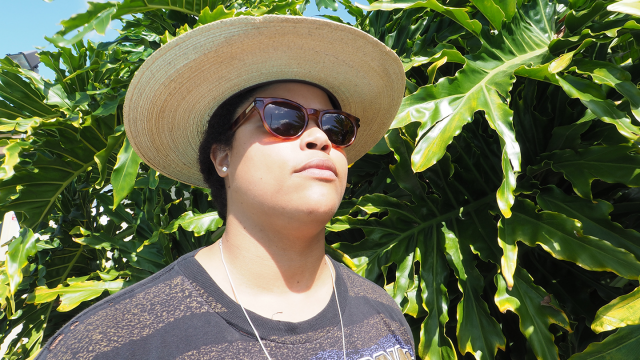 With DJ Kris B as her mentor, she developed her style and ear by combing over crates of records, eventually cultivating a unique blend of deep, jazzy house with a splash of disco, a hint of vocals, and a whole lot of Chicago-inspired funk. Laci Jordan is a multi-disciplinary designer, creative director, and truly the definition of a renaissance woman. The Huntsville, Alabama native now LA-based artist focuses her work around color, pop culture, and representation of people of color. “If you try to put Laci in a box, you’ll have an incredibly difficult time,” (Essence Magazine). Jordan works between illustration, graphic design, product design, and photography. Laci is widely known for her illustrations. With a theme of “Everyday Life”, her subjects range from portraits of women of color to her current favorite sneakers. Her work tends to have a no-filter, authentic, unapologetic tone. Brands and people worked with and/or for include: Disney Imagineering, ESPN, Foot Locker, Jordan Brand, Hibbett Sports, Planned Parenthood, Saint Heron, March for our Lives, Wildfang, and many more. ESP transcends the illusion of time and space by providing an immersive and multi-functional retail experience across all platforms digital, physical and conceptual. ESP manufactures the world’s most technically advantageous products created with the most innovative construction techniques and hyper-modern materials. ESP infers multiple realities of engagement through evolutionary branding concepts and immersive 4D retail experiences to deliver an exceptional product to an ever-growing and transcendent market in dimensions both obvious and concealed. HUD is a casual dating app that has quickly risen in popularity throughout the US. With a focus on creating short-term connections, HUD removes the emphasis on ‘finding the one’ and creates a more casual and enjoyable dating environment. The company has a strong female presence and fiercely believe in empowering women to take control of their love lives, promoting and normalizing the idea that female sexuality should be celebrated as much as it is for men. Since 2007, Poo~Pourri Before-You-Go Toilet Spray has been stopping bathroom odor before it begins so you can leave the bathroom smelling better than you found it. With over 275 million combined video views and over 40 million bottles sold, Poo~Pourri has become a pop culture sensation and start-up success. Poo~Pourri is sold in over 10,000 independent retailers and nationwide retailers including Target, CVS, Bed Bath & Beyond, Ulta, and Amazon.com. Poo~Pourri earned the Good Housekeeping Seal of Approval in 2013 and an Edison award in 2014. The company was also ranked on Inc.’s 5000 Fastest Growing Companies. To learn more, visit www.PooPourri.com.